Lexington Apartment Residence owns most prime location City Horse urban areas, is planned synchronization of technical infrastructure and social infrastructure, as luxury apartments ranks among the best in the current District 2. Project Lexington apartment residence located in front of Mai Chi Tho Avenue (formerly the Provincial Road 25B) with road about 120m from Mai Chi Tho fork - Hanoi Highway just 100m up the extremely favorable traffic in all directions of the city line. From Lexington Residence apartments easily circulated on the city center in just 10 minutes the last time Thu Thiem Bridge, Thu Thiem Tunnel and Saigon Bridge 2 Project Lexington Residence apartment just 5km Thu Thiem Tunnel traffic so extreme favorable period. Also highway HCMC - Long Thanh - Dau Giay completed in phase 1, and are gearing up the path from Km 0 to Km No. 4. By the end of this year, will complete 4km . Meanwhile, the distance from HCM in general and in particular Residence Lexington go to Long Thanh, and Vung Tau will shorten the distance and time. 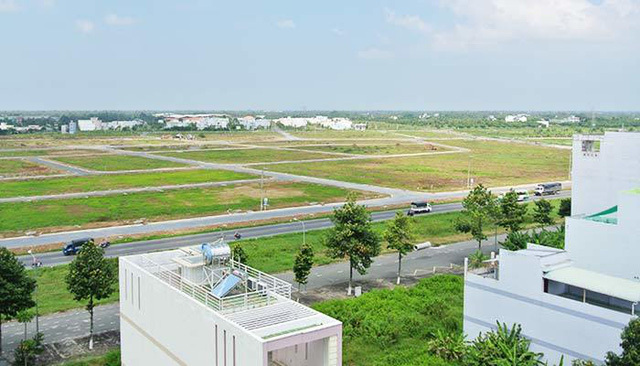 Thus, Lexington Residence has been extremely favorable position and are favored by major transportation systems: Hanoi Highway, East-West Highway, Mai Chi Tho Avenue, Ring Road 2 away Phu My Bridge - District 7, Ho Chi Minh City Expressway - Long Thanh - Dau Giay, and especially the Metro line No. 1 is the height of construction. More specifically the project is located next to Central Park 6 Ha wide urban district city 87 Ha Horse-scale space and forming an ideal habitat. - An Phu Supermarket, Metro Cash & Carry, Big C Supermarket. - International School of BIS, the International School of AIS. - Complete American International Clinic. - Park City urban 7ha of hourse. ♦ Number of floors: 25 floors with 4 blocks and 1 block trade. ♦ Apartment area: 48.5m2, 71m2, 72.5m2, 73m2, 82m2, 97m2, 100.5m2, 101.5m2.